I was tagged in the Next Big Thing Blog Tour by TK Toppin last week and back in November, I was also tagged by Chantal Halpin, but I forgot to post. So here I am, making up for it. This is the second book in THE BLACK WING CHRONICLES series. The title is HERO’S END. I was working on the last book in this series as a stand-alone. There was so much work still to be done, so I sketched out some important back-story narrative for my own reference. A submission call from an editor gave me the idea to toss together a novella from some of my notes. That evolved into the first book in the series, SOVRAN’S PAWN. I realized I had a story arc that needed to be bridged, so I tried to piece together how my characters (Bo Barron and Blade Devon) got from the end of SOVRAN’S PAWN to the beginning of the last book. I had tossed together a few scenes about Blade’s life as a high-profile holofeature actor, including taking Bo as his date/bodyguard to a red-carpet premiere, but the first scene that really jelled for me was Blade’s hovercycle accident. I knew from those two scenes that someone had to actively be trying to kill Blade in this book. With that knowledge, I deconstructed the situation, taking into consideration the vast scope of everything that needed to happen in this book to satisfy the story arc, then I sat down and cried. This book is a space opera for certain. We’re dealing with vast stretches of space, plots to overthrow governments, impossible pseudo-science, primitive mysticism, alien religions, and a love story. Which actors would you chose to play in your movie rendition? That’s a tough question. Blade has developed a bit of a fan following. Everyone has their own image of him in their minds, according to their own tastes. I love that. I would really hate to spoil that for people by naming someone to play Blade and having half of his fans say “ewwww.” So when I’m asked this question, I usually say that as a holofeature actor, Blade could, of course, play himself. He’s a compilation of many of my favorite swashbuckling heroes of TV and film. 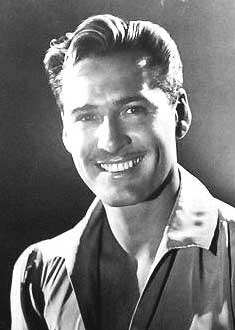 He was inspired originally by Errol Flynn, whose off-screen acts of derring-do were well-known in his day, and whose biography suggested he may have been a WWII spy. Bo is also a compilation of characters. You can find bits of Angelina Jolie, Gabrielle Anwar, Anne Hathaway, Michelle Yeoh, and a few select high-profile fashion models. As for the supporting cast, I don’t mind saying that I cast this book with bits and pieces of Nathan Fillion, Hugh Jackman, Russell Crowe, Sean Bean, Bruce Campbell, David Duchovny, Sean Connery, Eva Gabor, Ava Gardner to name a few. An attempt on the life of holofeature hero Blade Devon sets into motion a series of events that take him and his lover, convicted traitor Bo Barron, on a quest to find her missing father, and to uncover secrets of Blade’s past that he isn’t willing to let come to light, despite murder and betrayal. I’m too much of a control freak. I’ve been very pleased with the sales and results from my self-publishing, and I like having creative control over the cover art and the series development, so I’m sticking with it for now. From the initial inception to the completion of the first draft was several years in the making. The scenes that provided the foundation for HERO’S END I first scratched down back in 2009 and shelved. Once I sat down to work on it in earnest, it only took four months for the first draft. Of course, I consider the first draft to be the first telling of the main story from beginning to end. What I had at that point was horribly incomplete. Subsequent drafts require more attention to detail and plot threads, so they’ve taken an eternity. HERO’S END is also much darker than SOVRAN’S PAWN, which has made it more time-consuming for me to write. I don’t really have an answer for that. The scope of this book reminds me a lot of Dune, (only less ponderous,) or one of the Game of Thrones books in that there is political intrigue, murder, war, betrayal, a bit of mystical coming-of-age. What or who inspired you to write the book? The readers who clamored for more after SOVRAN’S PAWN, hands-down. There has been such an overwhelmingly positive response from my readers that I really do feel I owe them the next part of Bo and Blade’s story. What else about the book might pique the readers’ interest? 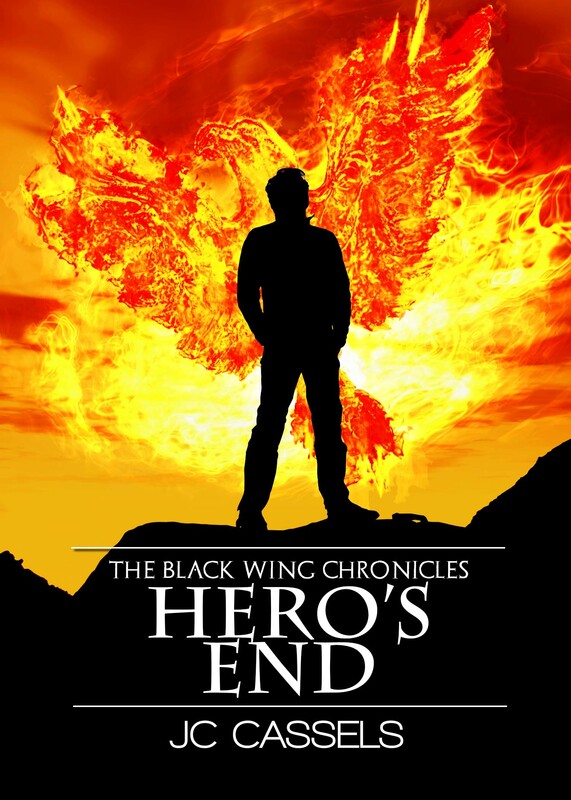 In this book, I introduce the characters who will populate a spinoff series set between HERO’S END and BARRON’S LAST STAND, which is the last book in THE BLACK WING CHRONICLES series. The spinoff series will be called THE MERCENARY ADVENTURES OF BLADE DEVON. That’s it! That’s my Next Big Thing. Thanks for stopping by. Don’t forget to stop by Theresa Munroe’s blog next Wednesday! LOL!! Thanks for reminding me. Otherwise I’d have flubbed it again! Whoever guesses the most right, I will send a box of my famous Toffee.